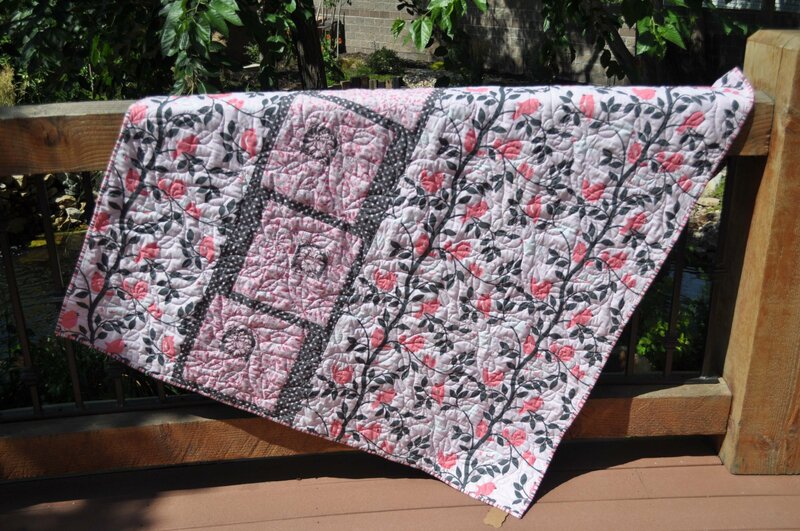 Finished Quilts for Sale > Ribbon Stripe Quilt - 56" X 68"
Pink and grey with cute little birds. Grey with pink polka dots on the backing. Grey and pink striped binding.